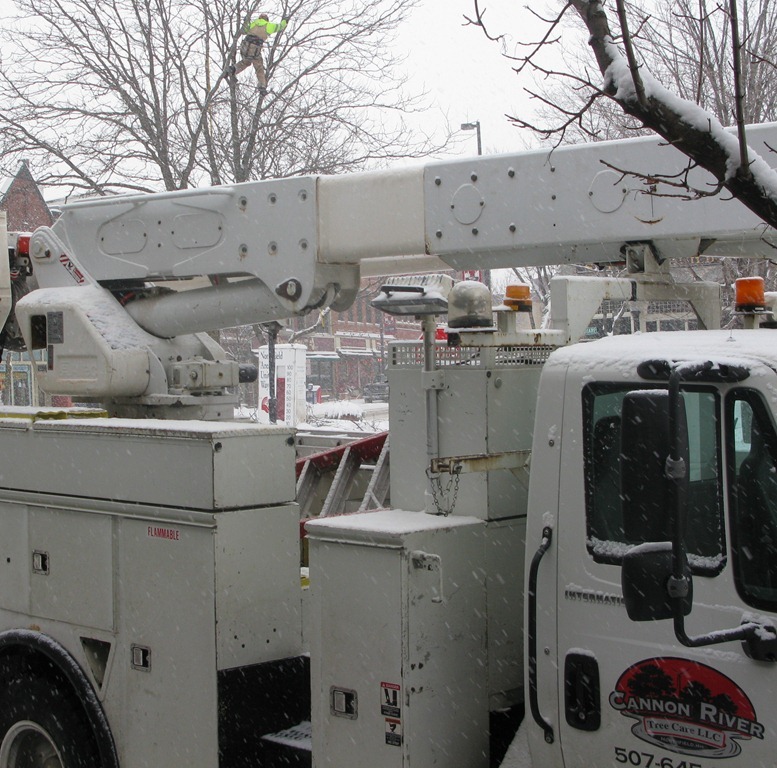 Brothers Jon Feldman and Matt Feldman from Cannon River Tree Care were pruning trees on Bridge Square this morning in the middle of our gorgeous snowfall. Jon said that winter is the perfect time to prune trees. 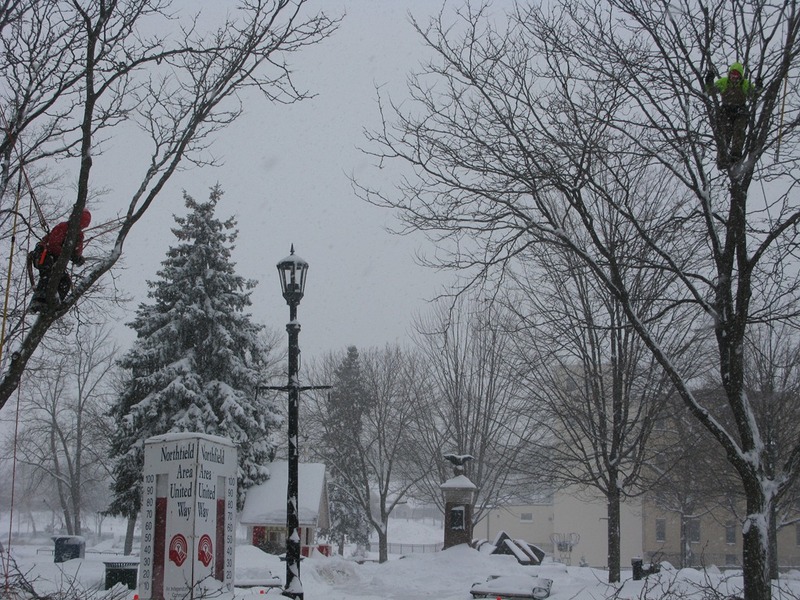 Tim Freeland at KYMN has blogged that schools are closing early. 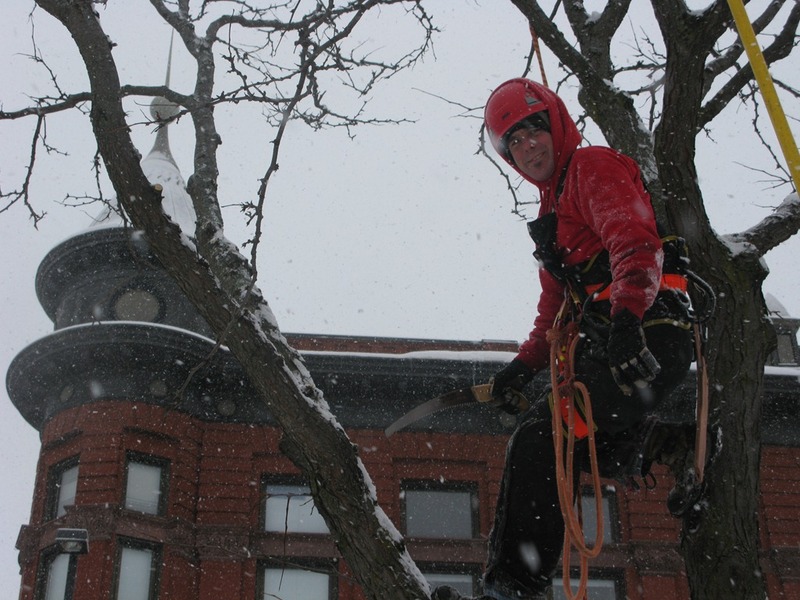 Kids love to climb trees so why not give them some rope, saws and clippers and have them trim your trees today? If they fall, the snow cover should protect them just fine. If they cut off a digit or two, no biggie, the Northfield Hospital has a great surgical team, plus it helps the local medical economy. If they fall, the snow cover should protect them just fine. If they cut off a digit or two, no biggie, the Northfield Hospital has a great surgical team, plus it helps the local medical economy. Hmmm. Never thought how letting school out early could leave kids out on a limb. John, you are the master punster.